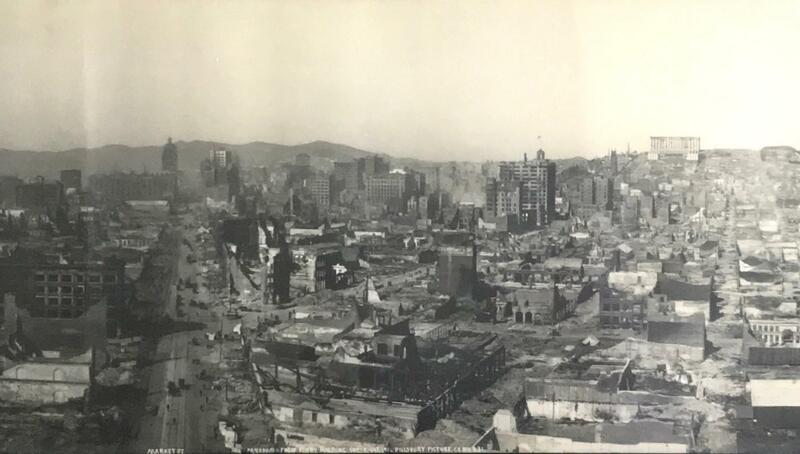 A spectacular view of the ruins of San Francisco made just a few days after the 1906 earthquake and fire. Much rubble is still visible on the streets. Title, copyright and inventory number 231 burned into negative, lower edge. Framed in a modern frame. 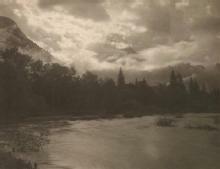 A. C. Pillsbury had a varied career as a photographer in Yosemite and San Francisco. He claimed to have invented the circuit camera and successfully marketed large panorama photographs such as this view. Items Similar To "Pillsbury Picture Co: Panorama from Ferry Building"